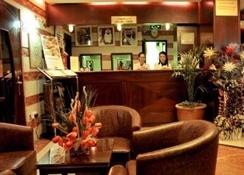 Overlooking the Dubai Creek, Al Khaleej Hotel is located in Al Nasser Square of Deira Dubai. 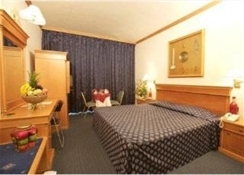 The hotel offers an ideal location for both business and leisure. All accommodations feature an individually controlled air conditioning, mini bar, satellite TV, IDD telephone, safe deposit box and wireless internet connection. Most of the rooms have balcony. Dining options include 3 food and beverage outlets which include an Italian Restaurant. The hotel offers various services for every guests convenience such as car rental, laundry-dry cleaning, 24-hour room service, housekeeping and complimentary transportation to the nearest beach. Attractions in the area including the Gold Souk, Dubai Creek, Dubai Museum, Jumeirah Beach, Dubai Mall and Burj Khalifa are easily accessible. Dubai International Airport is 6 km away. The hotel is sitauted on Nasser Square close to Baniyas Street and roughly 10 minutes from Dubai's international airport. 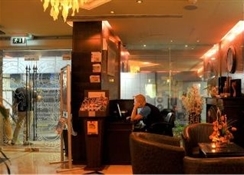 The hotel is also close to the Gold Souk- the Spcie Souk- the Murshid Bazaar and the chamber of commerce.This contemporary- air-conditioned hotel comprises a total of 105 suites and enjoys a modern design. The hotel features a hotel safe- a currency exchange facility- a lift- a hairdresser's salon- a nightclub and a conference room. 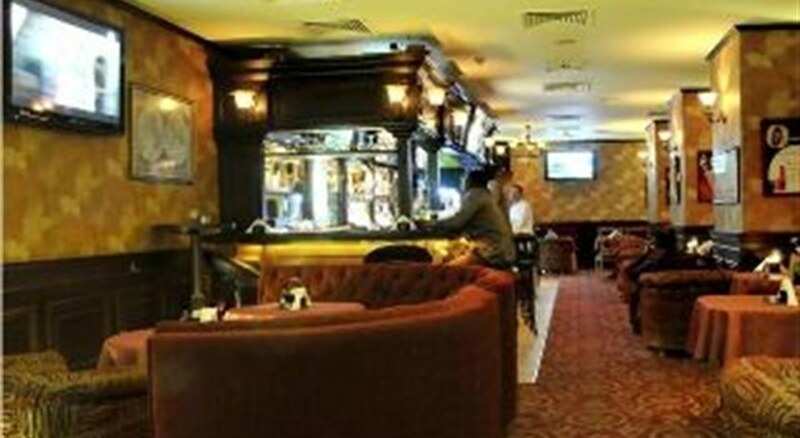 Guests may enjoy Italian cuisine in the tratorria pizzeria as well as drinks at Duke's bar. Room and laundry services are on offer- as are car parking facilities.The cosy and comfortable suites include all facilities for the discerning traveller. They comprise centrally controlled air conditioning- an en suite bathroom- a hairdryer- satellite/ cable TV- Internet access- a minibar- an iron and ironing board as well as a hire safe.Dubai Creek Golf and Yacht club are situated close by. This contemporary, air-conditioned hotel comprises a total of 105 suites and enjoys a modern design. The hotel features a hotel safe, a currency exchange facility, a lift, a hairdresser's salon, a nightclub and a conference room. Guests may enjoy Italian cuisine in the tratorria pizzeria as well as drinks at Duke's bar. Room and laundry services are on offer, as are car parking facilities. Polished rooms with warm, modern decor offer free Wi-Fi and flat-screen TVs, as well as sitting areas, and tea and coffeemaking facilities. Suites add separate living rooms. There's room service. A 10-minute walk from Dubai Creek, this street front, upmarket hotel lies 7 km from the Dubai World Trade Centre and 5 km from Dubai International Airport.